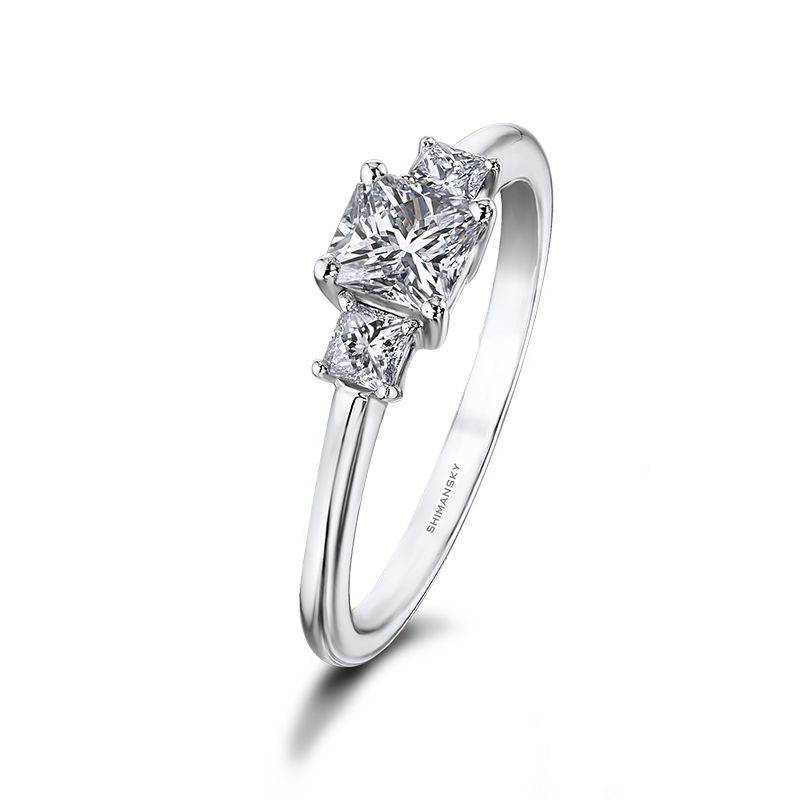 The 0.74tcw My Girl diamond trilogy ring shown features an expertly polished 0.54ct My Girl diamond in the center and two perfectly matched My Girl diamonds weighing 0.20ct completing the trilogy design. 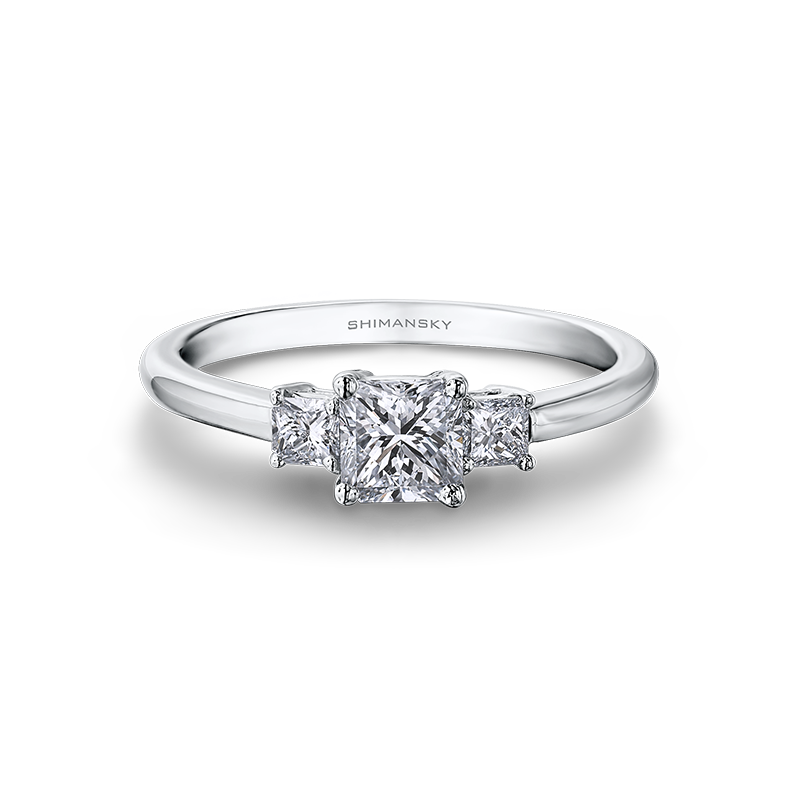 Delivering a mesmerising dance of light, this My Girl trilogy diamond engagement ring is available to order with skillfully matched Shimansky My Girl patented diamonds. 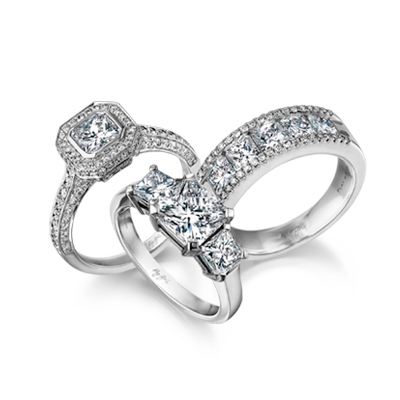 A classic ring design usually paired with the celebration of a milestone, the trilogy setting is timeless. A design that will never date, a trilogy ring is rich in symbolism, making it the perfect gift for a special moment in life. This stunning ring holds three Shimansky-exclusive My Girl diamonds. The My Girl was the first diamond cut in South Africa to be internationally patented, and is renowned for its brilliance and scintillation. A unique take on the square shape, the My Girl has a diamond-shaped table, which reflects light with every move you make. As unique as the woman who wears it, the My Girl diamond is a true masterpiece, born from the combination of design excellence and experienced craftsmanship.